SA Group deals with celebrities and media across industries and at all levels – large scale, corporate and personal events. With decades of strong working relationships with almost every celebrity in India, we guarantee highly proficient and reliable celebrity management services. Our services are tailored according to the budget and other specific requirements of the clients. We provide all consulting and services such as planning, negotiation, security services, and crowd management, and have an efficient team of experts to guide and recommend the best options. Our approach towards wedding events is strategic and focussed. We provide pre-, during and post-wedding services with our solid base and experience in providing the most artistic and personalised wedding services. Irrespective of your budget, we ensure that your wedding is just as you dreamed of – beautiful, dreamy, entertaining, hassle free and most of all, relaxed! Venue Selection & management: Do you want a wedding on the beach, in a heritage site, in a luxury cottage, on the back waters, or in a snowy mountain-top villa? 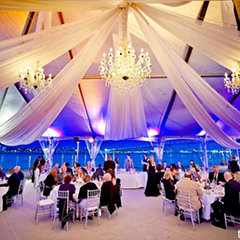 Worry not – we will help you identify and select your dream wedding destination with ease. SA Group has years of experience and strong direct relationships with all the leading hotels and resorts in India, as well as abroad, and are well-connected with heritage properties across India for royal wedding arrangements. We take complete charge of hotel bookings and negotiations, room allocation, guest management at the venue, on-site coordination. Theme décor: We have gained a name for our creative wedding theme décors that are made possible by our talented creative team. A professional touch to any wedding decoration can completely transform the setting, and you can trust us to transcend your expectations! We offer exclusive and tailored theme décors, lighting setups, stage decorations, table decorations, and spectacular entrance decorations. Invitation Cards: We assist in selecting and customising wedding cards with content and symbols of your choice. Catering & Bartending: Food will always be one of the key attractions for any wedding function, the planning for which begins immediately after finalizing the wedding venue. We select and propose menus as per your choice and also provide estimates of cost in discussion with you. We have knowledgeable, experienced and skilled bartenders working with us for many years. We have set the bar high in the events industry by offering highly personalised and consulting services to our clients for decades. 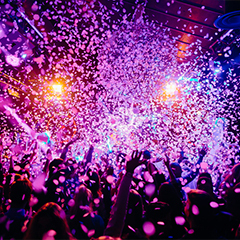 Innovation and uniqueness is what our talented creative team emphasises every time for every stage show – making our work speak out and our clients come back. 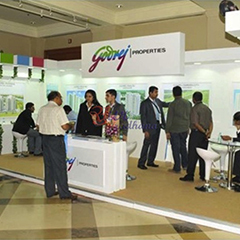 SA Group understands that each event requires a certain unique setting, and hence needs focussed attention and creativity, and above all the zeal of our team to make the event successful. 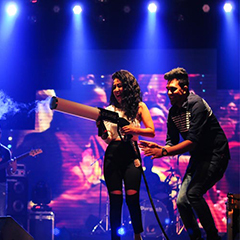 From taking care of all logistics (such as crowd & venue management, transportation, and information management, lights, AV) to handling artists and taking complete control of on-ground, we ensure a smooth functioning. 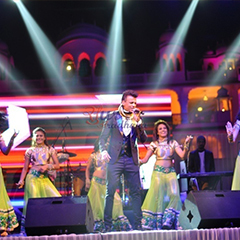 We liaise directly with some of the most well-known names in the field of entertainers, singers, dancers and other artists, and are experts in organising music and award, dance, ghazal nights, comedy, and devotional shows. 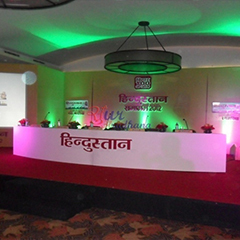 A corporate event can be organised at both small and large scale. These events are sponsored by a business/organisation for its stakeholders, such as employees, business partners, and existing and potential clients. From planning of a theme/concept to the final execution, we not only suggest and guide you options as per your budget and requirements, but also take care of the final execution. Conventional theme parties are a passé. Our goal is to create exclusive lifetime memories and unforgettable experiences through innovation and personalisation. Our talented minds blend the latest technology with their creativity to deliver everlasting experiences of entertainment. What makes us the top name in the industry today are our consistently high performance and dedication, to make our events unique and enjoyable. We understand that each party demands exclusivity, and hence our highly experienced team dedicates focussed attention – from conceptualisation to the final execution. 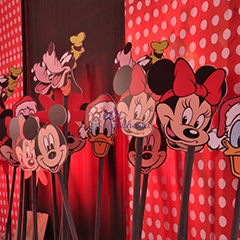 We ensure complete management of the theme parties (at every stage). If you are looking to be the talk of the town for throwing the best theme party of the year, reach us now! Some of our most popular themes are: Arabian Theme Party, Casino Theme Party, Traditional Theme Party, Mask Theme Party, Bollywood Theme Party, 70’s Night (Retro), Love Theme Party. The market today is stacked with multiple promotional events and activities, and what makes it challenging for brands is to build & sustain their image, and stand out among competitors. 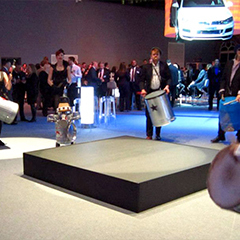 The objectives of promotional events can vary from ‘brand building’ to ‘maximising sales’. We at SA Group have a dedicated team of highly talented minds that understand the specific objectives to provide the correct suggestions, and works with clients to ensure that the promotional needs are not only met, but exceeds expectations. We use the latest technology and tools, and our workforce is well-trained to implement these gadgets, and combine these with their creative and effective promotional concepts. The objective of organising product launch events is to announce, create awareness and promote a product or service/solution, thereby accelerating the sales. These events are one of the best ways to tell the target audience that a new product or service is available for them to use. We understand this and have a proven track record of more than 20 years – which makes our customers sustain our relationships for years for various promotional activities. With hundreds of popular product launches in our portfolio across diverse industries, we have carved a well-known spot in the industry as a top product launch management team in India. Our highly passionate and efficient team makes sure that the services are customised to reflect your ‘brand identity’ and our goal is always to introduce innovation, leverage latest technology and tools, and deliver the best-in-class services. So why wait? Get in touch if you are looking for someone who understands ‘branding’ and will offer you end-to-end services at the most competitive prices! SA Group has successfully organised premium conferences and exhibitions of every kind and at all scales –single-session meetings to multi-language, parallel sessions, international conferences. Our expert team will suggest plans as per your specifications, and offer you services that include location selection, logistical support and on-ground management. We incorporate the latest technology and resources and blend it with the best-in-class design features to make an extraordinary experience and help you position yourself as the market leader. We provide our exhibition services and solutions to the Industrials sector, the public sector, local authorities, NGOs, academic Institutions, etc.